Few toys are so ubiquitous as the toy car. Only one company has as a record as America’s oldest toy company: TootsieToy. 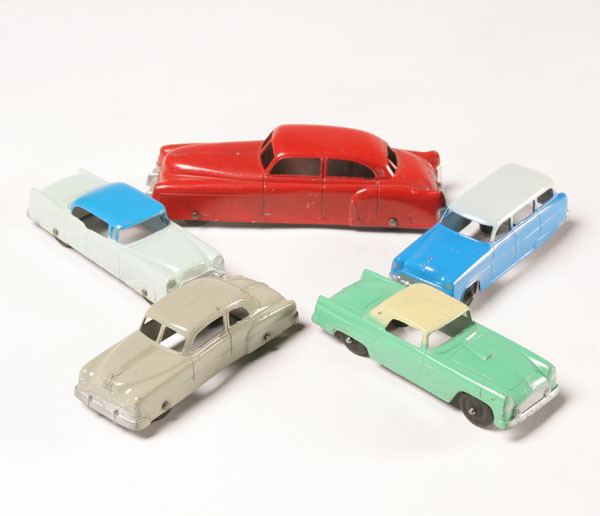 The company produced their first toy cars sometime between 1909 and 1911, existing for more than a decade prior, and their ever-wider range of models was consistently popular between 1930 and 1990. Their toys remained very simple for more than sixty years: a die-cast metal body of any number of vehicles, with attached wheels. They come in wide assortment, from the red fire-engine released in 1947 to the stretched-out dragster from 1960. TootsieToy still exists, producing more detailed toy cars and trucks alongside a wide range of other simple toys. TootsieToy cars are an enjoyable collectable due in no small part to their variety and iconic appearance, to say nothing of the nostalgia they en-kindle. They are often inexpensive, typically valued at less than $20.